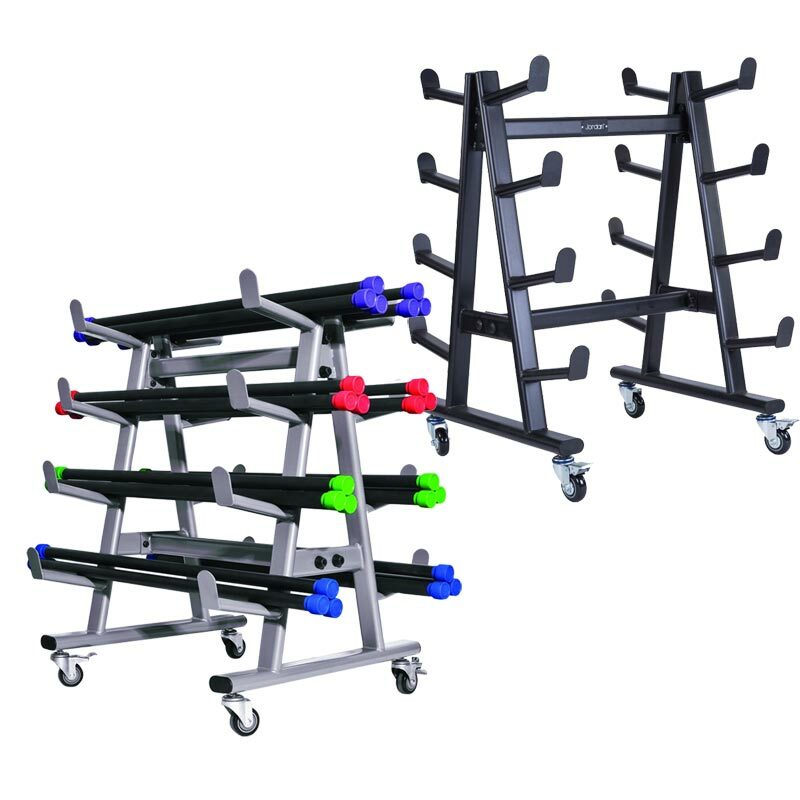 The Jordan ® Fit Bar Rack holds up to 60 studio bars (to order separately), keeping gym areas safe and clutter free. 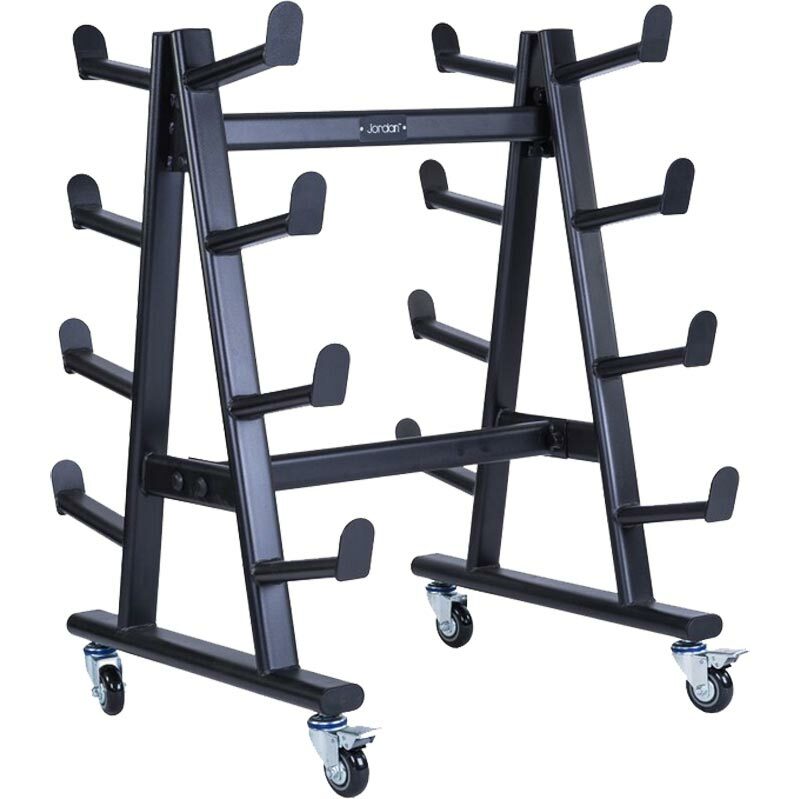 Completely portable, the studio bars can be transported anywhere in the gym safely and easily. 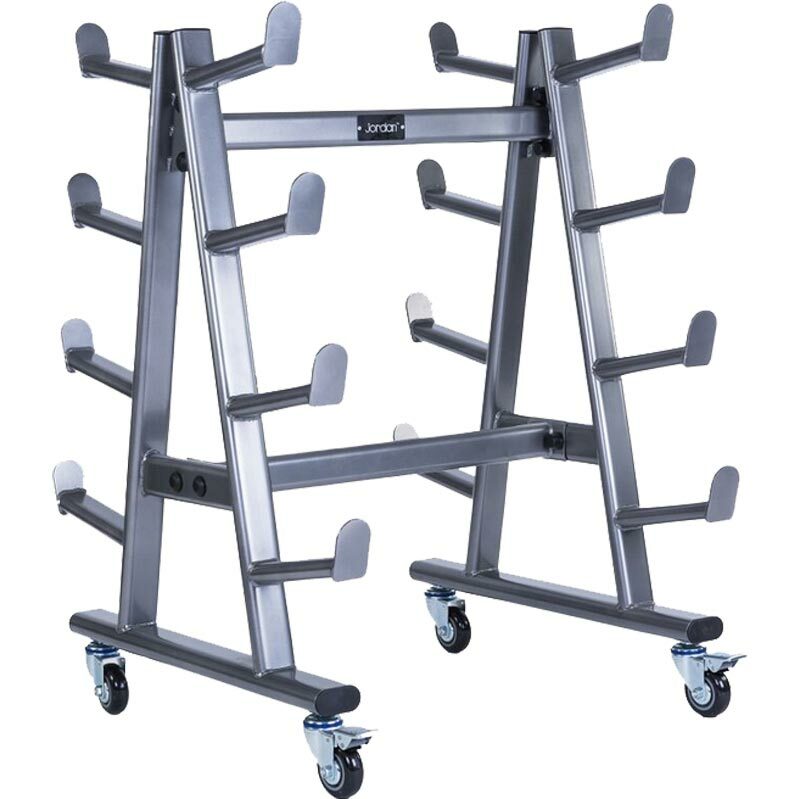 Featuring lockable wheels to keep the rack in situ. Holds up to 60 bars. Dimensions: Height 1150mm x Length 810mm x Depth 860mm. Fit Bars to order separately.